Christmas might me be over but should we be ditching the glitter ? I say no, I love glitter polish on it’s own and over colour plus its a great cover up, I’m using Morgan Taylor New year new blue as a base, I love this polish, the colour is amazing, one coat is all that’s needed and i love the brush. 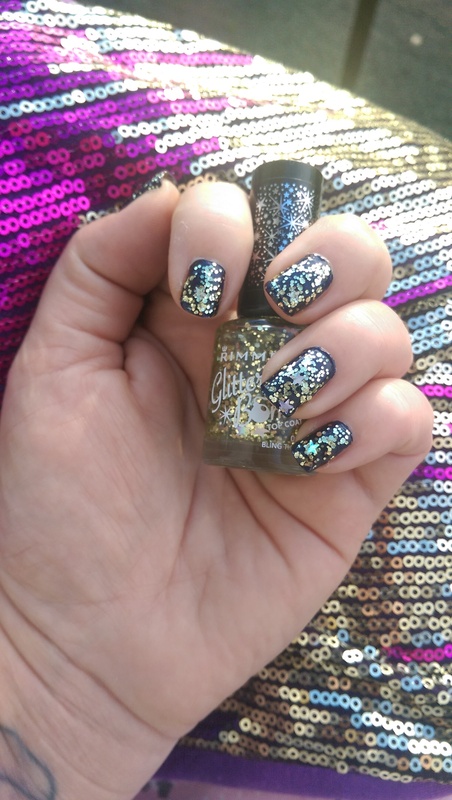 For the top coat I used Rimmel Glitter Bomb a delightful mix of stars and glitter, long lasting and sparkly everything you need to glitter up.